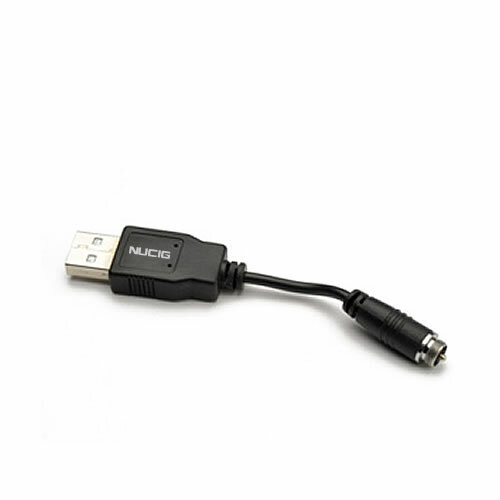 Screw connect your NUCIG ULTIMATE or Advanced PRO 2/3/4 battery into this cable and connect for charging to USB port found on PC computers, laptops, playstation consoles etc or via mains to USB plug. Perfect small size, flexible cord - carry with you very easily. I can now charge at home and when I am in the car. Arrived quickly, and works perfectly!